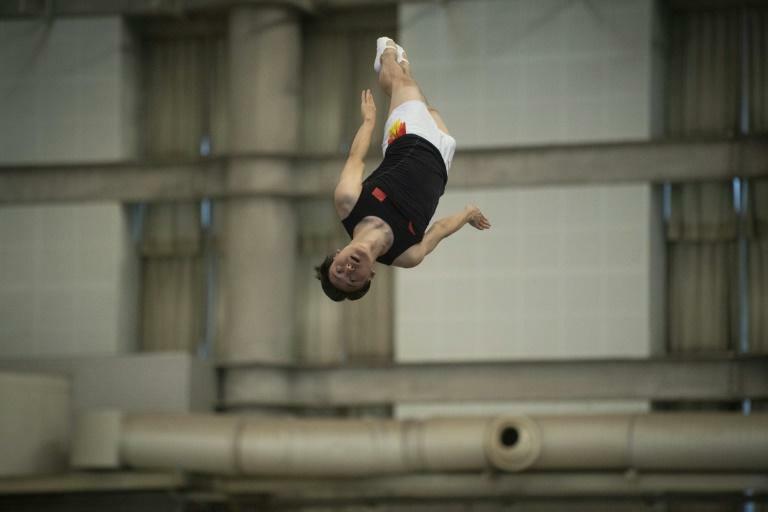 Chinese trampoline star Dong Dong has spent his life defying gravity, but now he wants to defy his age as he trains to participate in a record-equalling fourth Olympic Games in Tokyo in 2020. Dong, 29, has reached the podium in all three of his Olympic appearances: bronze at the age of 19 in Beijing in 2008, gold in London four years later and silver in Rio in 2016. But he is leaping at the chance to somersault his way into the Tokyo Games, which would make him the first male trampolinist to participate in four Olympics. Tatsiana Piatrenia of Belarus, who never won a medal, was the first female to compete in the discipline at four Games. 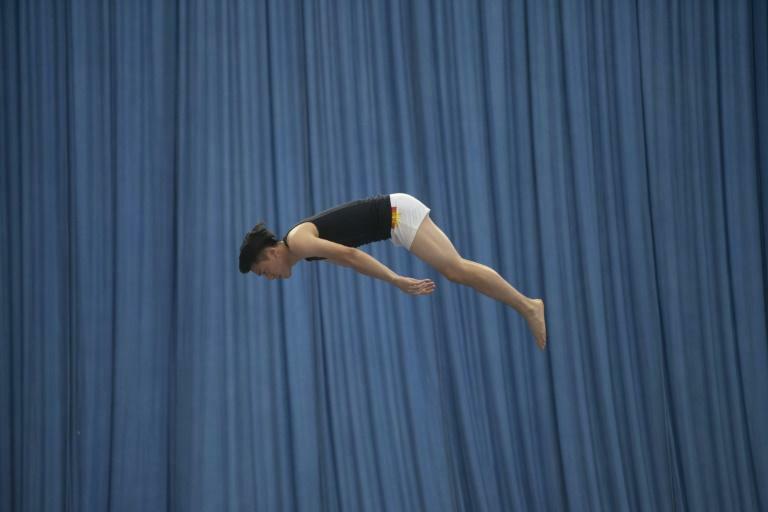 "My goal for Tokyo is always to win the gold medal," the high-flying gymnast told AFP at the national trampoline training base at the Beijing Sport University. The telegenic Olympian, who has a large fan following, will be 31 by the time Tokyo comes around and another podium spot would make him one of the oldest to win a medal in his discipline and cement his star status. To spur him on, a large banner that says "Vow to win the championship at the Tokyo Olympics" adorns the Beijing centre where he trains. The 12-time world champion in individual and team events will participate in the 2018 Asian Games that begin in Jakarta on Saturday, and Dong will attempt to become the first trampolinist to win three golds in a row after winning the individual men's event in 2010 and 2014. He was already the oldest competitor in the men's individual final in Rio 2016, where he missed out on becoming the first back-to-back winner as Uladzislau Hancharou of Belarus beat him to the title. But Dong doesn't consider age to be a hurdle. "My mentality is my advantage over younger trampolinists. I know better how to take advantage of the nervousness. I make fewer mistakes," he said. And he doesn't fear any opponent. "This fearlessness makes the opponents fear you. That's the feeling I enjoy most," he said. Trampoline made its Olympic debut in Sydney in 2000, with competitors bouncing up to eight metres into the air and performing split-second twists, flips and somersaults. Dong said Tokyo could be his last Olympics as he admitted that his physical fitness is declining. His coach, Cai Gangliang, said Dong has been able to enjoy such a long career because he has never suffered a major injury, he has self-discipline and he knows how to protect himself. During his recent training session, he performed a high-flying routine for an hour. He only takes one day off per week and avoids over indulging in foods. "Chinese people talked a lot about Cristiano Ronaldo's incredibly low body fat during the FIFA World Cup. In fact, all the outstanding athletes know they should be responsible for their own body," he said. Like many Chinese gymnasts, Dong has been training since childhood, joining a gymnastics team at the age of five. He is grateful for the mentoring of his coaches, even when they were tough with him, and is thankful for the support provided by the national sports system. "Without the system, I couldn't afford a trampoline, which costs about 200,000 yuan ($29,000), not to mention having to pay for coaches, doctors and scientific researchers. It's a whole support team," he said. Known for his good looks and carefully groomed black hair -- which remained in perfect position even after he twisted through the air -- Dong considered going into showbiz in 2013. But he would prefer to stay in the sport as a promoter or a trainer. "Trampoline is the best thing I can do," he said. "I never dreamt of making it to the top, but when I look back, I see that I am on top now. So I just keep going, to see if I could get better."